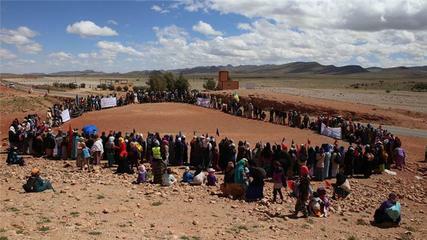 - Protesters in Imider have been taking turns for five years to block access to their water source. Imider is the biggest mine on the African continent, and 7th largest producer of silver in the world. It is also home to a 5-year long fight, as a group of protesters has been living on Mount Alebban, protecting the village's groundwater. Imider is the biggest mine on the African continent, and 7th largest producer of silver in the world. 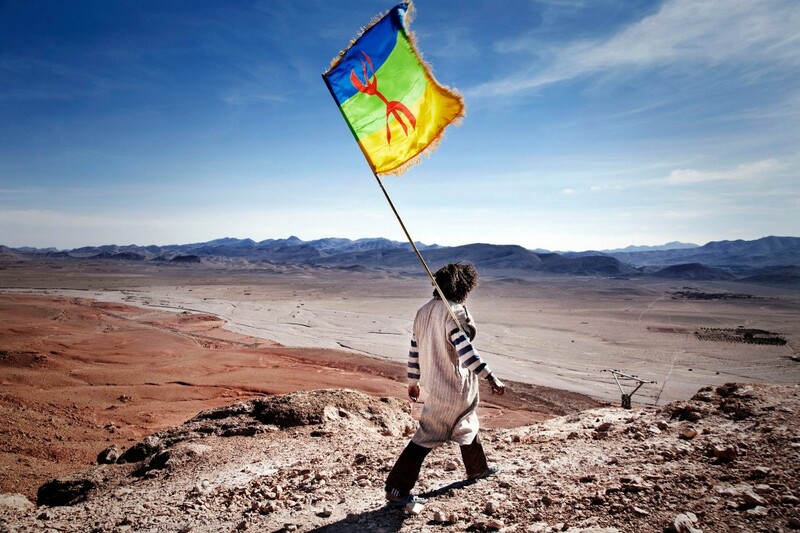 It is also home to a 5-year long fight (preceded by decades of mobilizations), as a group of protesters has been living on Mount Alebban, about 300km east of Marrakesh, since August 2011. The mine is run by Societe Metallurgique d'Imider (SMI), founded in 1969. SMI started extracting silver in 1978. Some protests took place in 1986 against the digging of a well which would have had a negative impact on local inhabitant and farmers. Leaders of the protest were imprisoned and wells were dug, to the detriment of the local community. In 1996, SMI was privatised. That same year, a 45-day-long sit-in was held on the national access road. The sit-in was eventually violently repressed, culminating in the drowning of the camp. In 2004, SMI dug an illegal well in the mountains, which had a dramatic impact on water access for the local Amazigh population, pumping the aquifer dry. 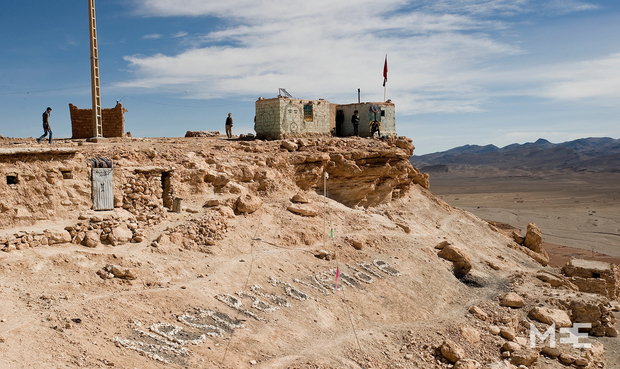 In 2011, protests resumed and a camp was set up after some youths were turned down for temporary jobs at the mine. The activists who refer to themselves as the "Movement on the Way of 96". Since then, those in the protest camp, mainly subsistence farmers and migrant workers, have kept shut the valve to one of the mine's biggest wells, to stop the use of the village's groundwater. Impacts from the mine include chemical pollution, new diseases such as cancer, decreased in agricultural production. Imider residents - who are mostly ethnic Amazighs - say the mine has drained their water reserves for decades and devastated their agricultural community, using 1,555 cubic metres of water per day, 12 times the village's daily consumption. Moha Taouja, a local activist said, “the water tank that provides water to the silver mine company takes 24 liters every second. This overuse of water has influenced the traditional irrigation process, resulting in having a number of dry wells.” . The mine also produces dangerous toxic materials such as mercury, zinc and cyanide, which affects agricultural produce. Elders in the community say the water became polluted with chemicals used by the mine, and the elders tell the young how crops from fig and olive trees have diminished over the years. Some believe the mine is contributing to cancers now evident among villagers and which they say were not seen before . The mine is also criticised on the grounds that there is little wealth distribution in the local area. The protest initially hit the mine hard, with reduced capacity from 30 to 40% reported by some sources from 2011-2013. However it is estimated that production recovered back to normal as the mine partly economised on water and dug new wells. The leverage of the villagers was gone, but they stayed. 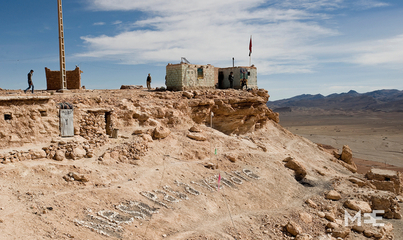 The initial dialogue with the mine’s management and local authorities came to a halt in 2012. The demands of the protesters include an independent environmental study on the impact of the mine. They want jobs, asking that 75% of the jobs in the mine go to the community, and education, better infrastructure and health care, in one of the poorest regions in the country. According to one visitor to the camp in 2016 following the COP "In their resistance, the villagers built several small cabins on top of the hill where they come together, cook, and keep watch day and night. Over the years, they have organized many collective marches from the villages to mount Albban and gathered in great numbers on the hilltop to demonstrate their willingness to continue the struggle and to come together as a community. They have established a general assembly according to a traditional indigenous model of decision-making (the Agraw), where concerns and future strategies are discussed. All decisions are made by consensus. The struggle in Imider incorporates principles such as radical democracy, decentralized decision-making, and gender equality. Moreover, some of their most active members in the camp have managed to attract international media attention through their connections and activities on social media. They have expressed their solidarity with other similar struggles like Standing Rock, and the protesters open up their camp to whomever wants to show solidarity and exchange ideas. When I arrived at the camp there were activists from Algeria, Tunisia, Kenya and the Navajo Nation. .
Project Details In recent years the mine produced between 185-240 tonnes of silver-metal, with 99.5% purity. So far, the protesters estimate they have withheld more than three million tonnes of water from SMI since 2011. A 2014 report found that after villagers cut off one water source to the mine, SMI’s processing capacity dropped 40 percent in 2012, and 30 percent in 2013. A report issued by INNOVAR, an independent hydrogeological group based in Temara, Morocco, found that the mine has had a devastating impact on Imider’s khettara system, a traditional underground canal network that has provided water to farmers in the desert region since the 14th century. Explicitly attributing the decrease of water to the mine, the report found that the wells constructed by the mine in 2004 caused a 48 percent decline in water transported by the three khettaras in Imider between 2004 and 2005. In the same year, farmers’ wells dropped by 1.25 metres . Relevant government actors The Imider Mine is operated by La Societe Metallurgique d'Imider (Imiter Metallurgic Company, SMI) a subsidiary of Managem S.A.. Managem is owned by Societe Nationale d'Investissement (SNI), a private holding company owned by the Moroccan royal family. As a result of the protest the mine was forced to operate at reduced capacity. One activist has spent 4 years in jail and others have also been arrested. Development of Alternatives The demands of the protesters are simple. They want an independent environmental study on the impact of the mine. They want jobs and education, better infrastructure and health care. They demand that 75 percent of all future jobs in the mine should go to young people from Imider. Why? Explain briefly. While the mine is still operating, and justice has not been served, the persistence of the organising is admirable. Further the resistance has led to increased democratic organizing with the encampment holding regular general assemblies using the Agraw system, an ancient model of Amazigh democratic tribal governance that include men, women and children from the seven villages comprising Imider, who meet twice a week to assess the community's situation and strategies. Zakariaa El Farhi (2016). 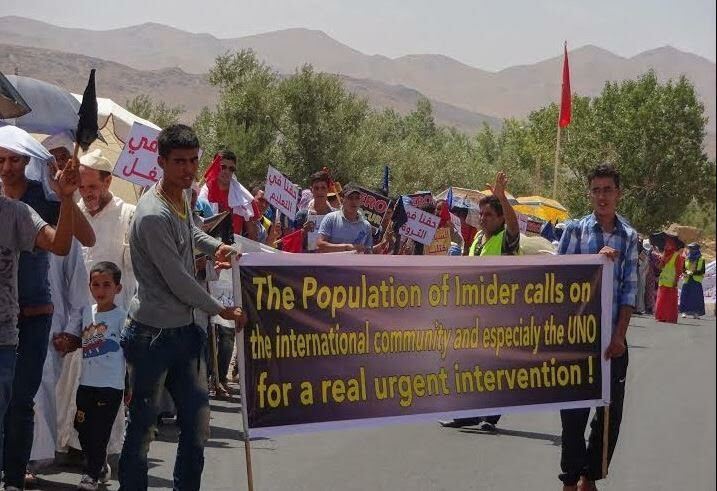 Five years of Protests against a Silver Mining Company in “Imider”. The Moroccan Times. 18 November 2016. Protesters in Imider have been taking turns for five years to block access to their water source.